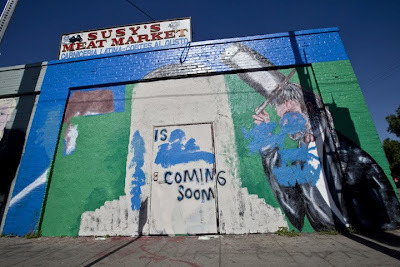 The folks at Susy's Market just can't keep the mural of Mayor Villaraigosa up. Vandal attacks have kept the mural down ever since it went up earlier this year. 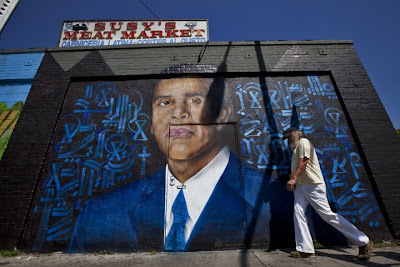 Here is the latest incarnation of the mural along with the original version.